Manitoulin Island is so quiet you can hear the wings of passing birds. 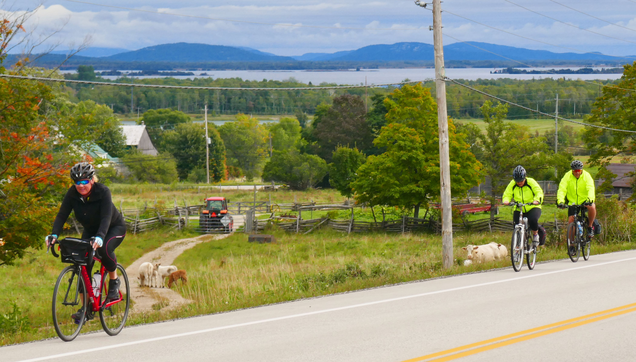 Cyclists across North America have come to love our often silent, serenely beautiful country roads. Everything moves at such a leisurely pace on Manitoulin that locals call it "Island Time". 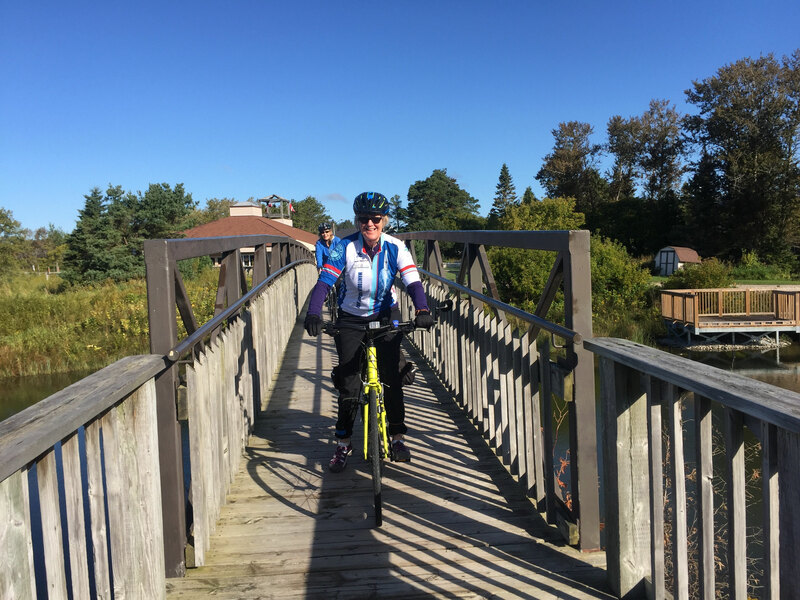 With 100 inland lakes and over 800 kilometres of cycling routes, come see for yourself why Manitoulin is one of the best loved cycling destinations in Ontario. If you're planning a cycle tour adventure, there's no better place than Manitoulin. We've got fascinating marine and geological history, natural alvars, art galleries including lots of great First Nations art, one-of-a-kind Mom and Pop shops, plentiful locally produced food and drink, and much more. September 9-13 Ride starts Monday early ferry leaving Tobermory at 8:50am, departing Friday 11:10 or 3:50pm as clients wish. Day 1, 58 km: South Baymouth Ferry Dock, Kicking Mule Ranch support stop, Visit the Old ferry and lighthouse in Manitowaning, arrive at lakeside Lodge overnight stay. Day 2, 60 km: You will visit a Soap factory, an Alpaca Farm, see the old Batmans Mill in Sheguindah, and rolling along pastoral countryside roads will bring you to Mindemoya’s lake side cottages. Day 3, 67 km: We will visit Ojibwe Pow Wow grounds and indigenous museum, Bridal Veil Falls, taste local chocolate, see the sculpture trail and experience the splendid view of the North Channel. Day 4, 57 km: Hear details about Alvars, stories at the war memorials, visiting two beautiful Galleries, walk on the sand beach and boardwalk in Providence Bay return to your cottage. Day 5, 56 km: See sculpture and carvings, visit the Fisheries. return to the Ferry dock. Schedule: Welcome at the South Baymouth ferry terminal. We shuttle your well-marked luggage to your accommodations. Provide you with a daily itinerary, a Manitoulin Island Cycling route and Road map and make sure you get to where you need to be (please be sure to bring at least one inner-tube and a tire with you that fits your bicycle). Your luggage will be at the Ferry terminal in South Baymouth for your departure. Experience Level: Manitoulin has gentle hills and not too much elevation on most routes chosen for these particular packages. Feeling comfortable with on road riding is needed. Payment & Cancellation Policy: 50% minimum deposit required. Final payment deadline is 35 days before your cycling holiday begins. $125 is non-refundable in the event of cancellation before the final payment deadline. No refunds after the final payment deadline. Electronic banking available: 3.5% surcharge for Visa and MC and AMEX payments*. Receipt will be acknowledged by email. *please email katherine@okcycletours.com to request credit card form.